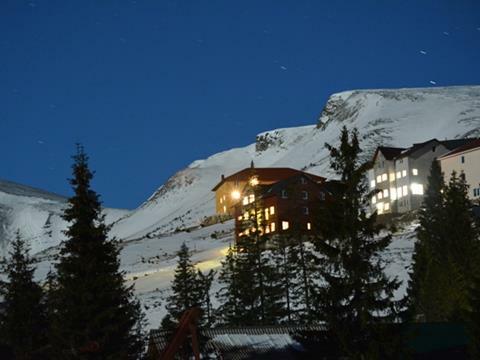 It is one of the high-mountain hotels of Drahobrat. There are varieties of rooms: from standard to two-room apartments. Beautiful views of Hoverla and Petros Mountains, Svydovetskyi range. There is the lift to Stih Mountain. This place is convenient for lovers of skiing in winter and excursions and walking tours to the mountains, to mountains' lakes of Drahobrat in summer. You can gather even mushrooms directly near the hotel.